Lowes to ride for Yoshimura in Suzuka 8hour. 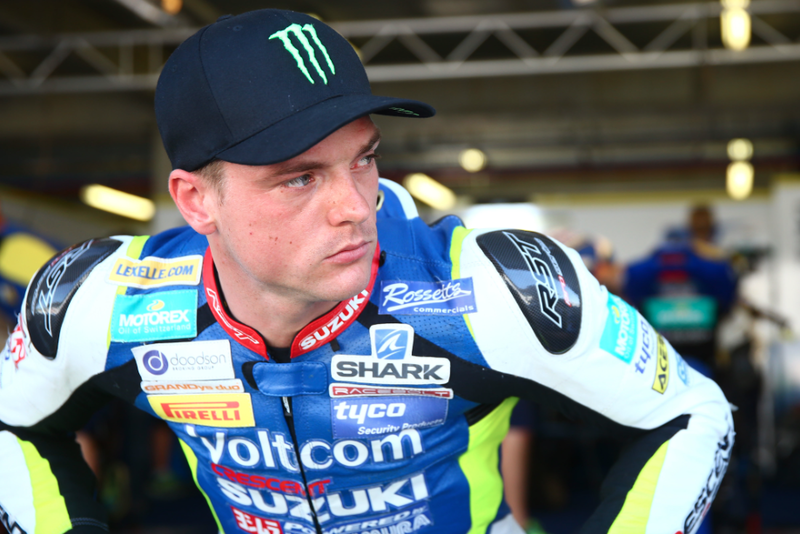 Alex Lowes is excited to be embarking on a new challenge with Voltcom Crescent Suzuki partners Yoshimura as he takes on the historic Suzuka 8Hours this July. The 38th “Coca-Cola Zero” Suzuka 8Hours Endurance Road Race, held at the Japanese Suzuka Circuit in Mie Prefecture, will run on Sunday 26 July. Joining forces with last year’s riders Takuya Tsuda and Josh Waters to create the #12 Yoshimura Suzuki Shell ADVANCE Racing team, Lowes will undertake testing in Japan on the 7th and 8th July before returning to World Superbike duties for the American round of the Championship at Laguna Seca the following week. Flying directly back to Suzuka, the British racer’s debut endurance event commences on Thursday 23rd July. Historically a powerhouse of talent from the top class of motorcycle racing – including former winners Colin Edwards, Carlos Checa, Yukio Kagayama and Valentino Rossi – this year’s event is expected to be no different. Casey Stoner is set to join past two-year victor and current WSBK rider, Michael van der Mark, with Pol Espargarò and Bradley Smith also already announcing their participation. 2015 sees Lowes switching places with his current WSBK teammate Randy de Puniet, who achieved a second place finish as part of the #34 Yoshimura Suzuki Shell Advance team last year. “I’m really looking forward to challenging myself at the iconic 8 Hour race and working with the Yoshimura Suzuki team. They are a great support to us in the World Superbike Championship and I’m really excited to see how they do things. “The Suzuka track is a favourite amongst many riders and while it’s going to be a lot for me to learn, I’m really excited about the opportunity. It’s going to be an interesting challenge especially with the test and race each side of the Laguna Seca WSBK round in July but think I can go and do a good job. “Yoshimura Suzuki Shell ADVANCE Racing team participates in the 38th Suzuka 8Hours Endurance Road Race with Takuya Tsuda, Alex Lowes and Josh Waters. We are aiming for the 5th victory for the team and will fight with these brilliant riders. “There have already been announcements from other top teams and these rivals look very tough and strong. It is still great to see the factory teams come back to this event with GP riders, and it reminds me of the Suzuka 8H race in the 80’s or 90’s! “We, Yoshimura Suzuki Shell ADVANCE Racing team, have been developing the Suzuki GSX-R1000 with its potential using our know-how and we are going to fight against these factory teams.